This stunning beachfront resort will have you under its spell in no time. Vivid white sands and clear turquoise water greets you and the luxurious rooms wrap you up in binding comfort. 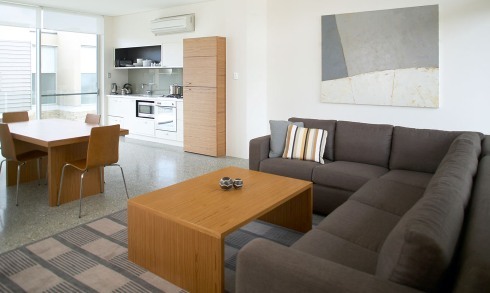 With everything you might need, the self-catering accommodation allows you to unwind, with everything at your footstep. Would you like every day to be gourmet? Smiths Beach Resort’s Gourmet Special includes brekky, tapas plate and a bottle of wine in your room! 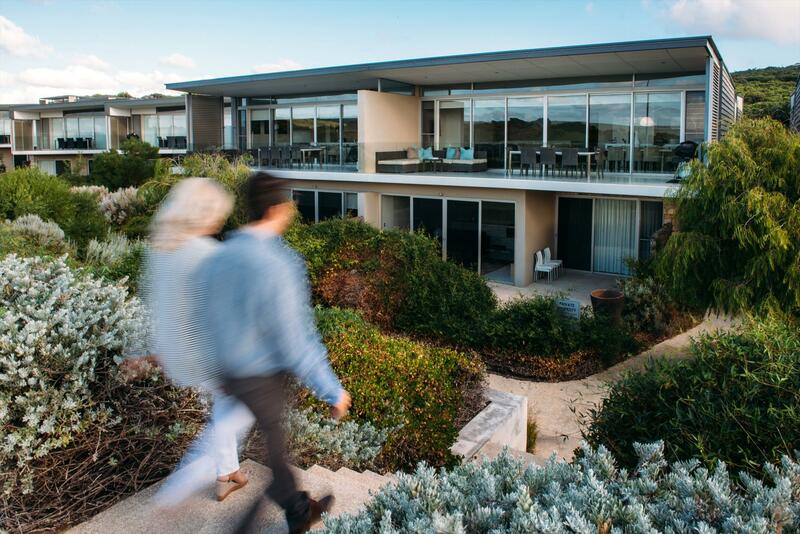 Your Margaret River stay will be made complete with Smiths Beach Resort. Nestled perfectly along the beachside, you will be treated to stunning coastal views from your luxury accommodation. The rooms are spacious and comfortable and every measure has been taken for your enjoyment. With a variety of accommodation to suit most budgets and with rooms much larger than found in traditional hotels (all fully self-contained and featuring separate living areas), Smiths Beach Resort is the perfect option for couples, families and groups. Reception hours for Smiths Beach Resort are 9.00 am to 5.30 pm daily. If your intended arrival is outside of these times, please notify reception so that we can arrange an after-hours check-in. A 45 minute flight from Perth Airport or a relaxing 3 hour drive by limousine or private car. From Perth city, head south on the Kwinana Freeway / Forrest Highway all the way to Bunbury (about 2 hours drive). Keep in the left lane through two round-abouts and follow the signs to Busselton (about 1 hour). 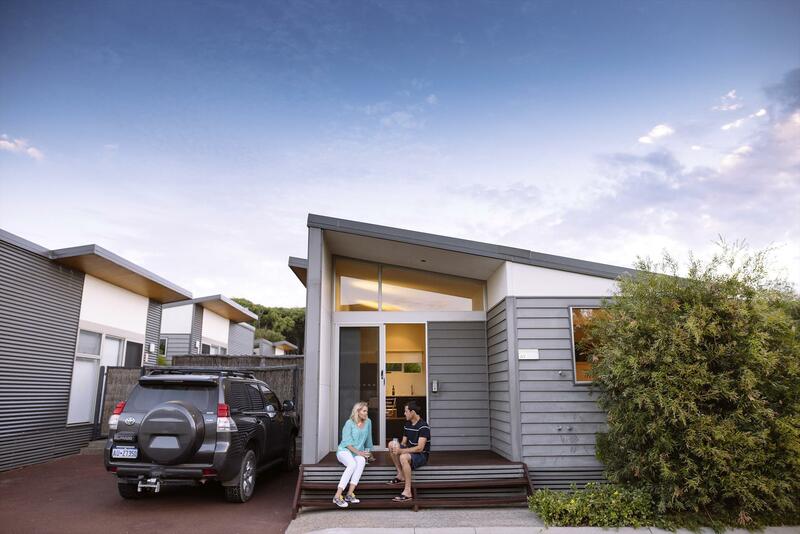 Travel along the Busselton Bypass or take the more scenic route into Busselton township and follow the signs to Dunsborough. Continue past Dunsborough along Caves Rd towards Yallingup, and turn left at the old town hall just as you reach Yallingup. This is still Caves Rd. Follow this for a further 4km and turn right into Canal Rocks Rd. At the top of the hill turn right into Smiths Beach Rd, and the Resort is located at the bottom of the hill on your left. Turn into the car park and the Reception office is directly in front of you. Where notification of a cancellation is received 28 days prior to the arrival date consideration may be given to allow a booking transfer to another date. Notice of cancellation received less than 28 days in advance of the booking will result in the deposit being non-transferable and will be forfeited. We recommend an investment in holiday and travel insurance so that any unforseen circumstances affecting your booking are covered. The split level 1-Bedroom Apartments are the ideal accommodation for couples looking for a divine escape, with beautiful bedroom (king bed or king-split) and huge bathroom with free-standing bathtub downstairs, and modern, comfortable lounge/living room plus kitchen facilities upstairs. Flat screen LCD TVs with surround sound and iPod docking stations are standard in all rooms. Please note, the Apartments are located towards the front of the Resort and do NOT have ocean views. 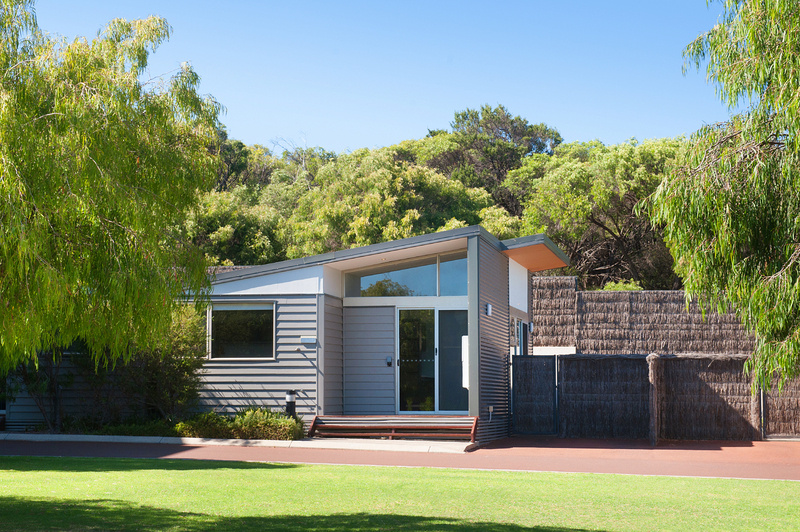 All rooms at Smiths Beach Resort are self-contained for guests convenience. Gourmet hampers and food supplies are available for pre-ordering - please contact Reception for a copy of in-room dining details. Maximum occupancy in an Apartment is 2 adults. Strictly no children or infants are permitted to share with parents in the Apartments. No additional facilities such as extra beds or cots are available and guests with children will be transferred to a Beach Shack. The Beach Shacks are the perfect accommodation for families - spacious, comfortable, private and cost-effective. The cottages are fully self contained with kitchen, dining and lounge room, plus two bedrooms which include one queen bed and two sets of bunk beds. Each shack has their own private courtyard with bbq and are fully equipped with all modern conveniences. Please note: The Beach Shacks do not have ocean views. 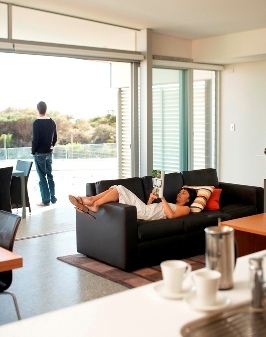 All rooms at Smiths Beach Resort are self-contained for guests convenience and meals are not included in the price. Gourmet hampers and food supplies are available for pre-ordering. The 2-Bedroom Garden/Poolside Villas have one bedroom upstairs with a king bed and one bedroom downstairs with a zipped king bed with the option of splitting into two singles. Villas are fully self contained with a bathroom on each level, and private balcony with BBQ. Wonderful furnishings and fittings from deep baths to Flat screen LCD TVs with surround sound and iPod docking stations. All rooms at Smiths Beach Resort are self-contained for guests convenience and meals are not included in the price. Gourmet hampers and food supplies are available for pre-ordering. The Ocean View Villas have one bedroom upstairs with a king bed and one bedroom downstairs with a king bed and the option of splitting into two singles. Villas are fully self contained with a bathroom on each level. Private balcony with BBQ. Wonderful furnishings and fittings from deep baths to Flat screen LCD TVs with surround sound and iPod docking stations. All rooms at Smiths Beach Resort are self-contained for guests convenience and meals are not included in the price.Gourmet hampers and food supplies are available for pre-ordering. Adjacent to the beach in a private gated area, located at the front of the resort facing the sand dunes and offer ocean glimpses. Upstairs feature dual-master bedrooms each with own ensuite (including luxurious freestanding bathtub) which lead out to the spacious main living and dining area with Jetmaster fireplace along with entertainers balcony and BBQ facilities. Downstairs provides a private escape with an additional bedroom and bathroom, kitchen, dining and living area plus courtyard. Bedding configurations King Beds in each bedroom, two rooms can be split into singles. 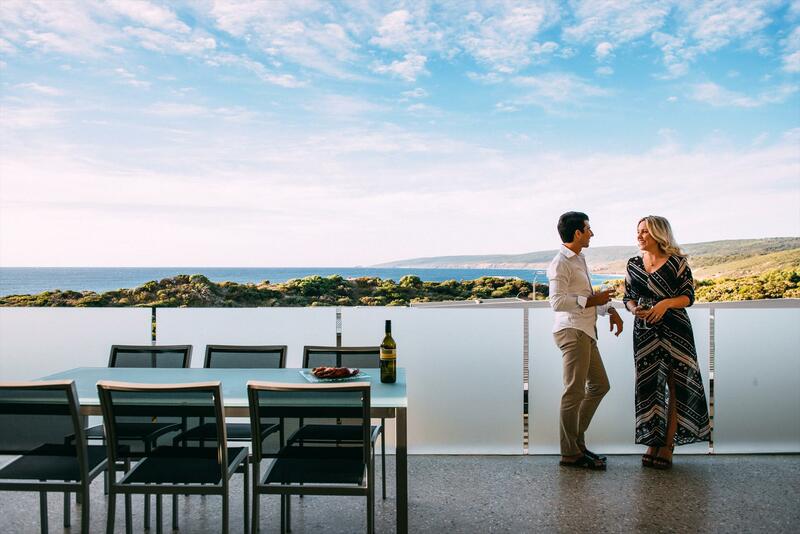 Stunning ocean views of Smiths Beach with balcony and BBQ. The villas are fully self contained with one bedroom upstairs with a king size bed and two bedrooms downstairs consisting of one queen bed and one king with the option of splitting into two singles and a bathroom on each level. Wonderful furnishings and fittings from deep baths to Flat screen LCD TVs with surround sound and iPod docking stations. All rooms at Smiths Beach Resort are self-contained for guests convenience and meals are not included in the price. Gourmet hampers and food supplies are available for pre-ordering. 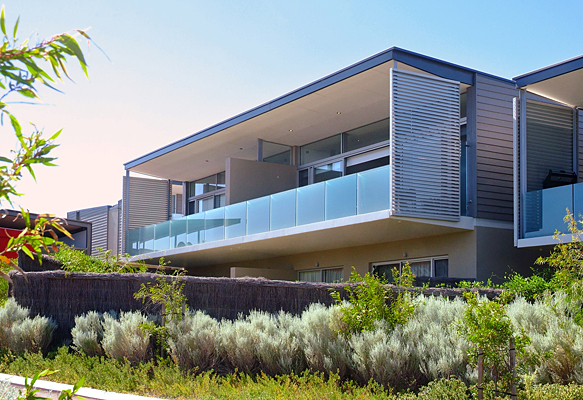 The 4-Bedroom Beach Houses have stunning ocean views and are fully self contained. They feature ocean facing balconys with BBQ, two bedrooms upstairs both with king size beds and two downstairs also with king size beds with the option of splitting one bed into two singles and bathrooms on each level. Wonderful furnishings and fittings from deep baths to Flat screen LCD TVs with surround sound and iPod docking stations. All rooms at Smiths Beach Resort are self-contained for guests convenience and meals are not included in the price. Gourmet hampers and food supplies are available for pre-ordering. 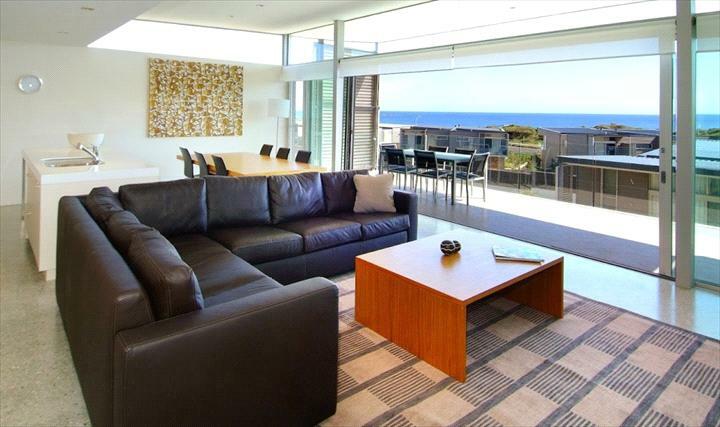 These fabulous Apartments offer the most spectacular ocean views of any resort in the Margaret River area. Located on the upper level of the Villas, they offer large open-plan living area with full length windows and glass sliding doors opening on to the balcony, making the most of the beautiful ocean outlook. The master bedroom is at the rear with beautiful ensuite bathroom complete with freestanding bathtub. These fabulous self-contained units are a terrific, economical option offering much more than simply a bedroom. These Shacks are more a home away from home, with private living room and fully equipped kitchen, private parking space and outdoor patio with bbq. The beach shacks are located behind the beach houses and do not receive ocean views.